With Shur Flo Gutter Covers there are no more gutters to clean, no more ladders to climb. When gutters become clogged by leaves, pine needles and debris, your gutter will overflow causing damage to your landscaping, basement or foundation. 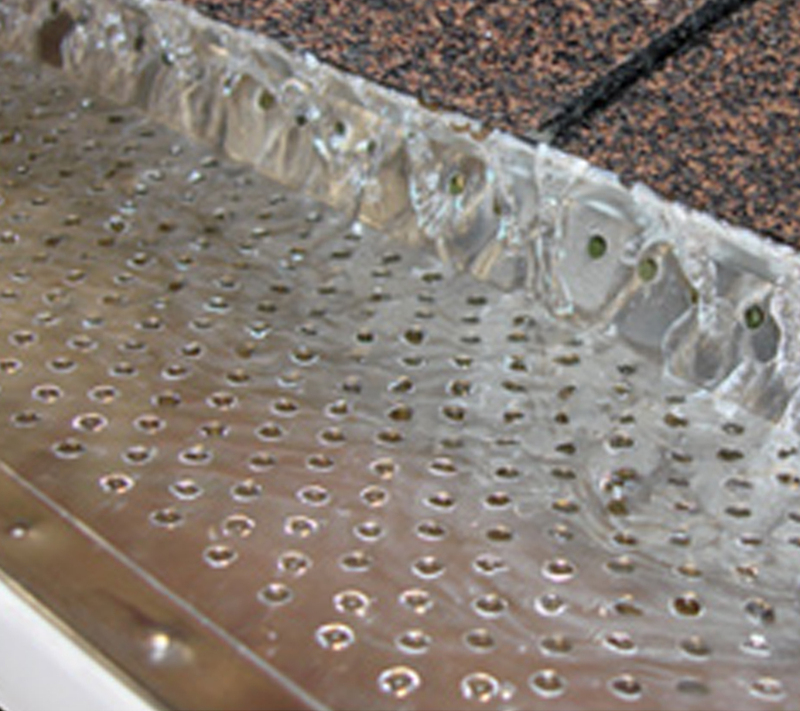 Shur Flo offers you the perfect solution to prevent leaves and debris from clogging your gutter. Sit down with one of our trained and knowledgeable staff members to discuss your gutter protection options. They will help you with the entire process from start to finish. They will even make installation easy too. Contact Streamline Enterprises to discuss adding a Shur Flow gutter protection system to your home.